I am not going to lie with the intent of this article as I originally decided to wait until I finished the “Elemental Gear” before I wrote about this page as I felt I would come to hate the place with a passion and it was mostly going to be me moaning about the place … but I liked Eureka and instead of spiting the articles apart as I would have wanted to do in this case it is all together. 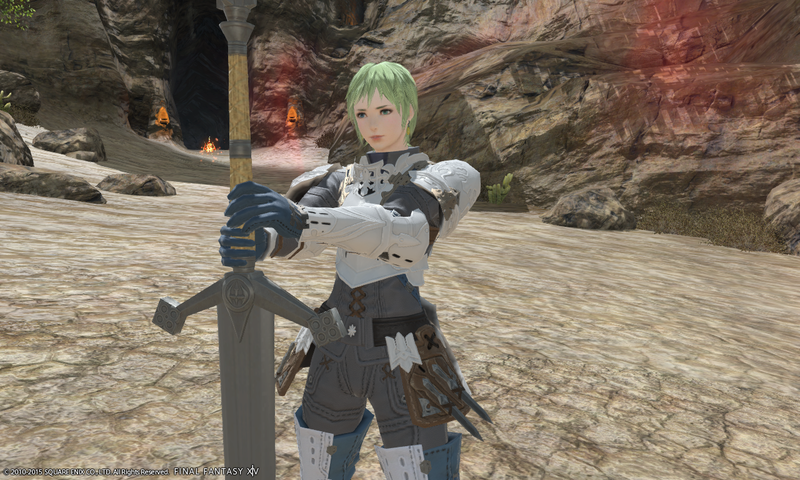 Looks just like Pagos again. The story of Eureka carries on from where we left off with exploring the lands and hunting down further information about this primal known as “Eureka”. As you can expect we do not learn that much but we do learn a bit more about where Eureka is, about the weapons the Allag had underneath and a reference to Crystal Tower but the main important thing is we learn about the motives of the key players. 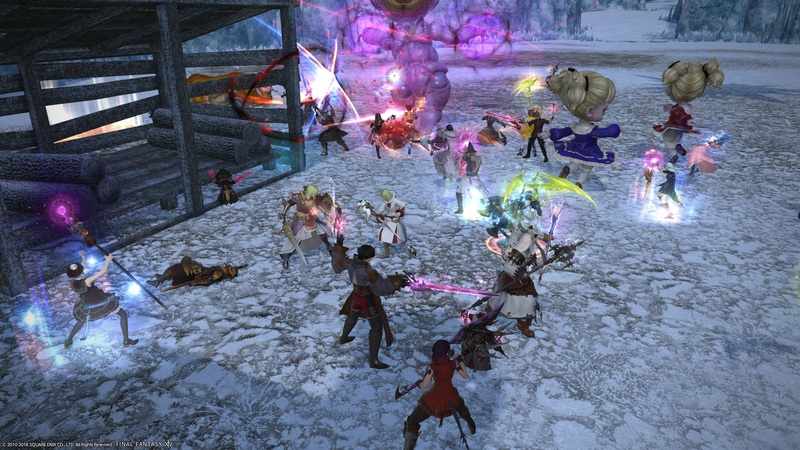 With all that said and done, Pyros is the weakest of the “interesting design” out of the three Eureka with mobs semi-badly placed around the place and no real transition to the new area. The mobs themselves are as you expect but with a lot more AoE attacks and the Notorious Monsters seem to mostly a re-hash from savage raids. This glow can’t be good for me. With this upgrade of the Aymur (although can I really call it this at this point I do not know) we are no longer upgrading the weapon by getting stronger materials but instead using memories of others in the form of “Logograms” which can be used with certain crystals that allows the weapon to upgrade further. In total there are fifty actions which after thirty actions and four items from a certain notorious monster you are able to complete the relic itself … at least in theory. This is where we get to the weak point of the relic upgrade – the stats. Just like the Zodiac and Anima before it, the Elemental weapons are able to have custom stats but it does rely upon RNG in order to decide which stats you get. 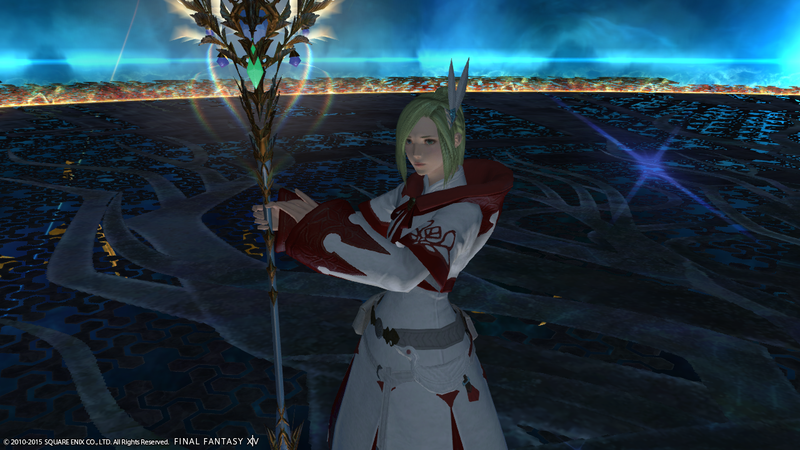 This is kinda like how the Diadem weapons used to be (which in a way Eureka is the successor of Diadem). The good news however if you just want the weapon for vanity you only need to get the crystals and thirty actions and call it a day otherwise if you want to get the stats you will need to farm aether yet again! I felt like I earned this gear surprisingly. Now we get onto the elemental gear which is where I have mixed feelings. The first thing is it really bothers me to the point I did not want to do Eureka simply because the Seventh’s Heaven gear did not upgrade further while the Aymur does. I get at this point the Elemental Cane is no longer the Aymur and that they just wanted to make the artefact gear upgradable in the first step of Eureka but would it have harmed the lore team to either make the Elemental Cane its own weapon outside of the relic one or come up with a reason why the artefact gear becomes the elemental gear? The second problem I have with the gear is the item level. I have no idea why it doesn’t match the weapon and more so in this case due to the time when the elemental gearset has come out. Also why the gear does not have custom stats as well is beyond me – it seems the gear is just there because Yoshida said before there would be. 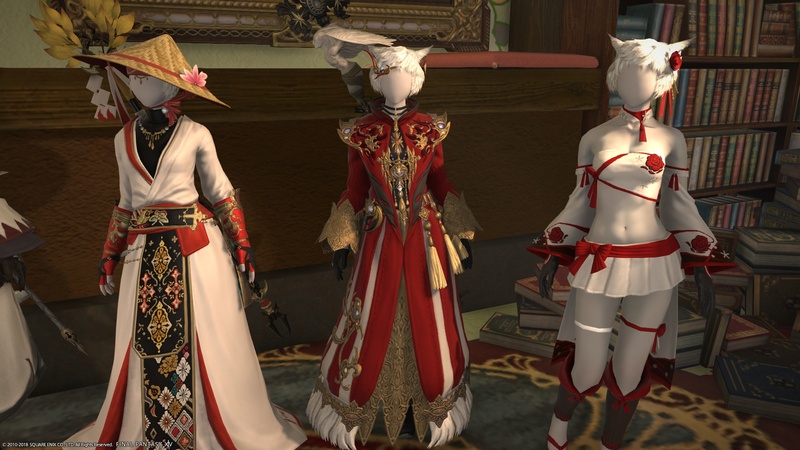 In my opinion, I hope next expansion allow the upgrading of the relic weapon and the artefact gear together (doesn’t even have to change look) and keep it to more like the original relic quest while having a form of the elemental weapon and gear to keep going in Eureka or whatever the next version is called. Totally not talking about you. 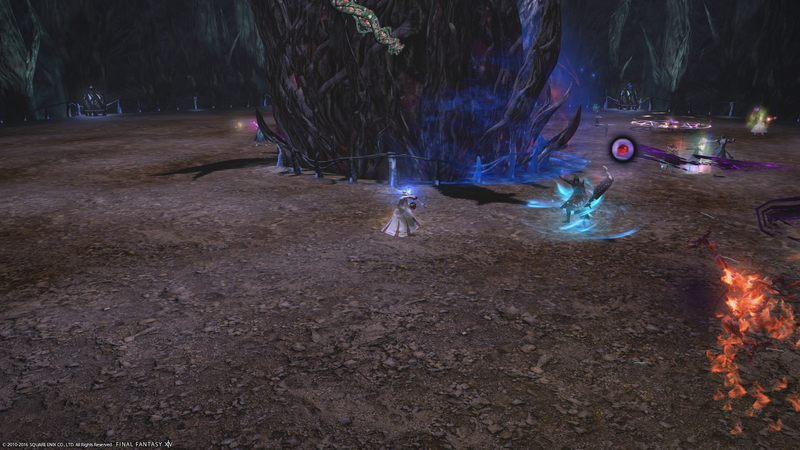 The other rewards you get in Eureka is quite typical you get an emote, hairstyle, horns, mount and a minion(s). 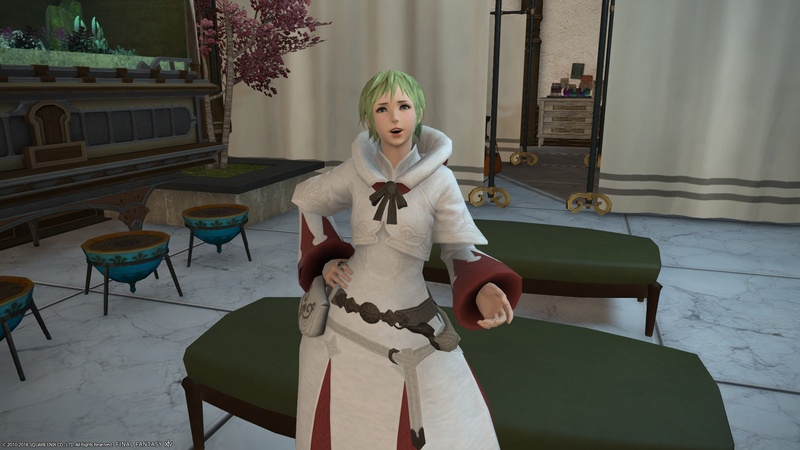 I have the hairstyle which I only saw once as I got the final set of offensive logograms that I needed but I hear a lot of other people have had quite a success farming them but honestly the hair or mount isn’t for me so I can’t really be bothered to do so. If you want to see what the hairstyle looks like you can find it in the image at the start of this article but for the minion or mount, you will need to Google that. So in the end what did I think about Eureka? Honestly, I enjoyed the heck out of it. Sure some parts were annoying but the levelling was pretty easy and the logograms were not much of a grind to get as long as you had people doing it. Am disappointed in the item level of the elemental stuff and I really hope they change their mind next expansion on how that works. Would I recommend to do it? Not exactly. 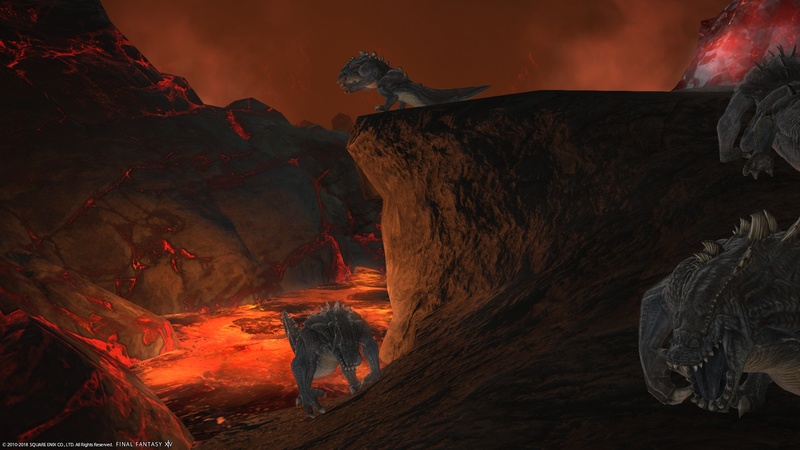 If you already completed pagos you are already going to do pyros anyhow and if you didn’t complete it you wouldn’t be doing pyros which is a shame but sadly is gated behind the horrors that were pagos. On and one last thing. Why the hell is ironic white magic such as banish, reflect, bravery and so much more simply skills in Pyros? 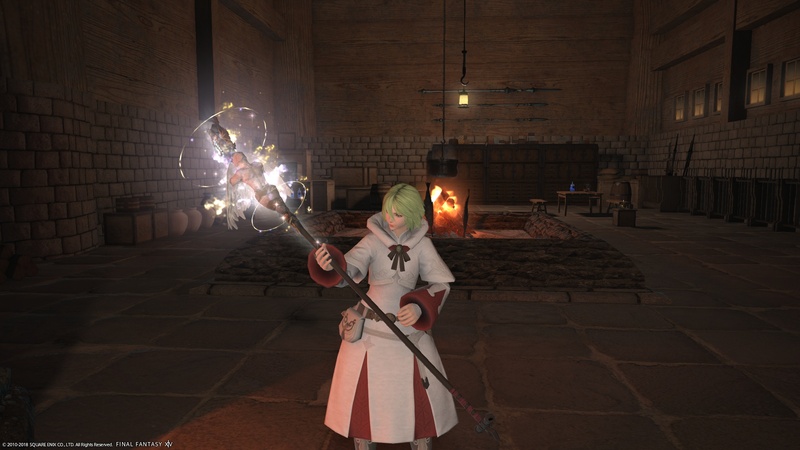 I hope we actually see these ironic white magic become skills for White Mages while spreading out the others to jobs as well such as Death with Black Mage.